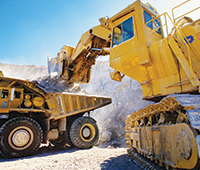 Hydraulic components that deliver the performance you need to stay competitive whatever the application! Drives that deliver the torque output and long-life performance required for industrial machinery and off-highway mobile equipment! A world renowned leader in contamination control, providing the fluid power industry with a comprehensive range of filters, elements, and accessory products. Hydraulic motors meticulously designed for high mechanical and volumetric efficiency! Precision engineered gear pumps that deliver higher working pressure, durability and quieter operation. A comprehensive range of cost-effective accessories sourced from quality manufacturers around the world. Quality, Performance Driven Pumps & Valves for the industrial, mobile, marine and defence applications. The Hydraulic Warehouse imports and distributes over 16,000 quality hydraulic products from the world’s leading manufacturers via our Australia-wide reseller network Australia-wide. Our comprehensive range includes leading brands such as Eaton, Char-Lynn, Vickers, Ausco, Fairfield, MP Filtri, Fluid Press, EDI, SAI, Hydraforce, Hystar, Husco, Jining and manufacturers of high quality products including power units, valves and gear pumps. Our resellers enjoy access to the most up to date hydraulic products at market competitive prices. We back this up with first-rate hydraulic product support, outstanding stock availability, and the fastest turnaround time from order placement to delivery. If you are interested in becoming a THW Reseller, please click here to discover the benefits of becoming one of our valued customers and to complete an account application form. If you are an end user looking to purchase our hydraulic products, click here to contact your local reseller.